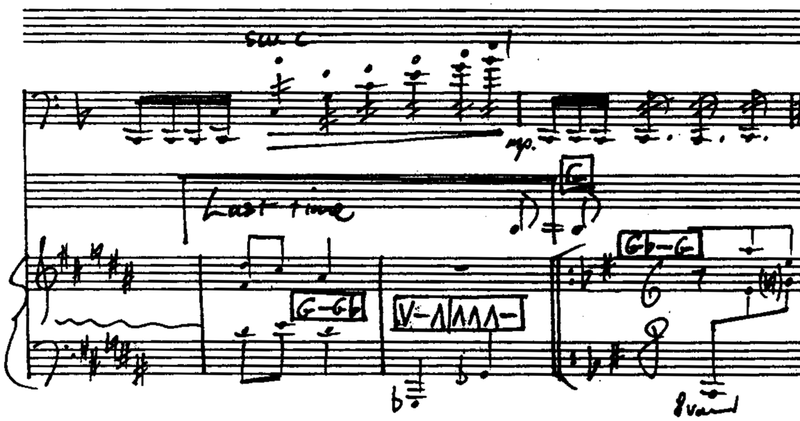 Two independent, contrasting parts, synchronised at cue points; rhythmic, mostly non-repetitive. Superimposed synthetic scales. Originally written for the Cornelius Cardew Composition Prize 1992, unperformed at the time; eventually premièred by Paragon on 11/10/04, with Robert Irvine cello and Helen Thomson harp.